Apple’s shares fell nearly three per cent on Thursday on signs of weak demand for the iPhone 8 that caused analysts and investors to question the company's staggered release strategy for its latest phones. Wireless carriers in the United States and Canada have reported slow third-quarter customer upgrades. While some expect a pickup after the iPhone X goes on sale in November, others cautioned that phone's high price tag could weigh on demand. 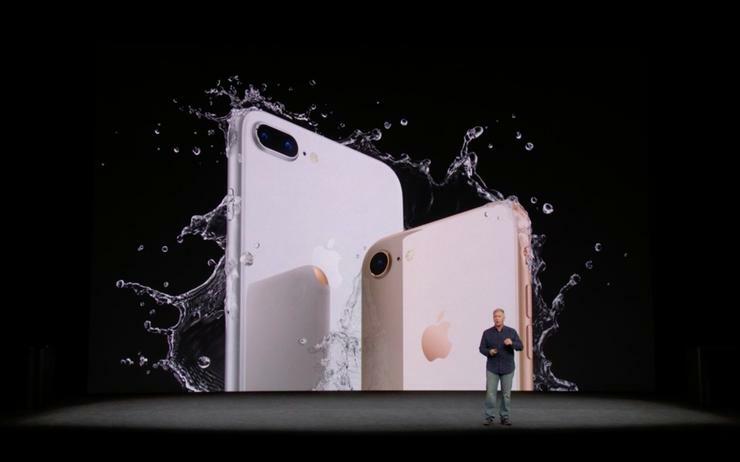 The chief executive of Rogers Communication, Canada's largest mobile network, on Thursday said appetite for the iPhone 8 and 8 Plus, which went on sale in September, had been "anemic," the latest sign of weak sales for those phones ahead of the 3 November launch of the pricier iPhone X.
Verizon Communication Inc's Chief Financial Officer Matt Ellis said the number of third-quarter phone upgrades fell versus previous years, but that he expected an upgrade surge when the iPhone X is released. "I think what you're seeing there is a difference in timing of some of the new devices coming out versus what we've historically seen," Ellis told an earnings call. "As we get into the holiday season, some of those new devices come out, we think we will see strong demand." The uncertainty about demand coupled with a Taiwan media report of a cut in iPhone 8 production pushed Apple shares down 2.8 per cent by midday. "The Street is hyper-sensitive to any speed bumps around this next iPhone cycle and (that) speaks to the knee-jerk reaction we are seeing in shares," said Daniel Ives, chief strategy officer at GBH Insights in New York. "iPhone 8 demand has been naturally soft out of the gates with the main event being the iPhone X launch in early November. (But) this is the early innings of what we believe is the biggest iPhone product cycle with X leading the way." US wireless carrier AT&T said last week its third-quarter postpaid handset upgrades were down by nearly 900,000 from a year ago. But there are also concerns that the more expensive phone marking the iPhone's 10th anniversary may see a muted reception compared to the frenzy that normally greets Apple phone launches. A carrier store survey suggested the cheaper iPhone 7 was outselling its successor just a month after iPhone 8's launch, KeyBanc Capital Markets analyst John Vinh said this week. “They’ve always been able to use that as a lever to improve their profitability on the iPhone," Lam said. Rogers' CEO Joe Natale said anticipation for the iPhone X was high but noted inventory would be limited and that, at Apple's starting price of US$999, it was an expensive device. Will Apple's mobile devices be the next big platform for AI?